Right-hand circular polarization or (RHCP) have well and truly been established as the antenna of choice for 5.8GHz FPV use and now RP-SMA users can also enjoy the benefits without the head scratching involved in making them yourself. 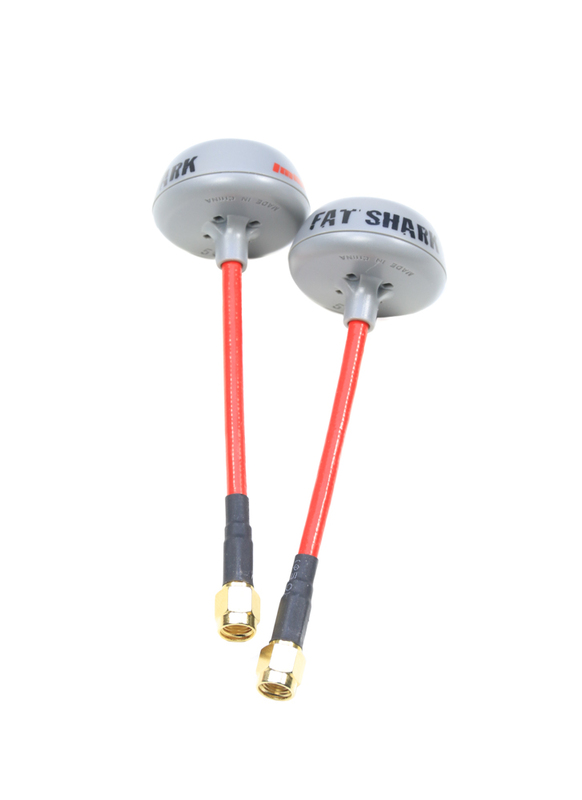 The Hard case enclosure will ensure that your antennas are never damaged or bent out of shape while handling or after a rough landing while the flexible cable ensures easy positioning for optimum performance. The flexible cable can be bent at a 90deg angle and will retain its shape making it ideal for goggles with horizontal RP-SMA outputs.